According to the National Institute of Mental Health, the prevalence of depression is highest among people aged 18-25 (13.1%). Depression is second only to anxiety as a mental illness. Millions suffer with depression and anxiety but only about half of them seek help. At his young age Bieber embraced his vulnerability and imperfections without shame. This remarkable behavior took great courage. He has had great accomplishments in his young life, but they don’t diminish his suffering. Society encourages us to hide our feelings which is especially burdensome for men who are told they must be strong never weak, and to never show fear. All of us are under constant pressure to conform and pretend. The stigma of depression is still alive and is the primary reason that the majority of people do not speak up or seek help. The stigma of depression isolates people with mental health issues. The courage to be vulnerable, to admit feelings of disconnection and loneliness, and to ask for help is a strength. Feeling down, hopeless and empty, anxious, irritable, angry, loss of interest, low self-esteem and difficulty enjoying things that we normally enjoy can make it difficult, if not impossible to ask for the help, love and support they need. Too often people with depression don’t speak up because they don’t think they have value. Thoughts about death and suicide are also common. Depression is an illness that impacts important relationships and sufferers can fear repercussions like divorce, exclusion from social circles, and more that keep them silent. Most couples accept that relationships will be impacted by hardships but are unprepared for depression in the marriage. 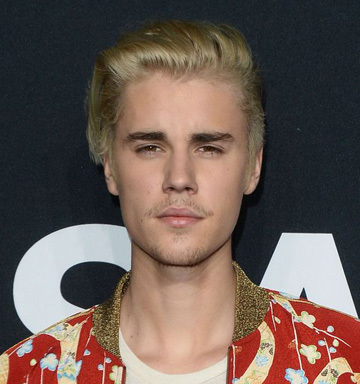 Bieber spoke about his mother who always battles with depression and his father who has anger issues, and his feelings about passing these on to him. It is true that a family history of depression is a risk factor. And when it runs in families the onset is often between ages 15 and 30. Once again, Bieber has shown his courage by revealing that he and his wife are in marriage counseling. Marriage counseling takes hard work and demands honest communication. Learning about each other and themselves, the couple can work through hard times together and grow a stronger, deeper relationship. It is estimated that about 40 million people in the U.S. suffer with anxiety and almost half of those diagnosed with depression also suffer with anxiety. It is estimated that 25 million suffer in silence which can lead to suicide. Depression is treatable. Treatments can be short-term or longer depending on the patient’s needs. Most often psychological counseling and antidepressant medications are the first line treatment. While it can take weeks for antidepressant medication effects to be noticed, they can provide relief of symptoms for about 50% of those who take them. However, it is the combination of therapy and medication that is most effective. Palos Verdes Estates Psychologist Dr. Angela Bisignano takes a comprehensive approach to treatment that involves the biological, psychological, social and spiritual dimensions of each individual. Her specialty is relationships, anxiety and depression. Her goal is to help you gain mental health and wellbeing to live a fulfilling and meaningful life. Dr. Bisignano’s office is located in Palos Verdes Estates in the south bay of Los Angeles; serving clients from the surrounding communities. Don’t suffer in silence. Contact Dr. Bisignano today.